As soon as I heard about the sponsored Doctor Who-themed parties, I just knew that they would want an article on the early years of Doctor Who IT to include in the special pack. However, since nobody has actually asked me for it yet, you get first dibs. Store: 1,200 words of 61-bit 'store' as magnetic core memory, multiple reel-to-reel tape drives of an unusual vertical design, dispensing not only with such decorative niceties like pinch rollers and tension loops but also read/write heads. Coding Language: Bedfordshire Autocode II. Embedded desire to take over the world: Yes. I/O: Teletype, 110 cps ie, "faster than Polly" (a secretarial/typing pal-to-be of the Doc's). Could do the football results in its spare time. Also has ponderous 0.3 sps (syllable per second) voice output via a speaker. Oh yes, and thought control, achieved via a broadcast signal. Function: Not a lot. Supposedly the inventor of the "War Machines", creations which are visually the product of the union of a commercial-size chest freezer and Metal Mickey. Unconvincing War Machine appendages included a single, faux tank track in the middle (huh?) and a hammer arm that had a curious, feeble, designed-by-a-child look about it. Most serious flaw: W.O.T.A.N. 's primitive design led to dreadful continuity errors, notoriously treating the principal character as eponymous. Manufacture: International Electromatics, possibly from a design by the Cybermen of Telos. 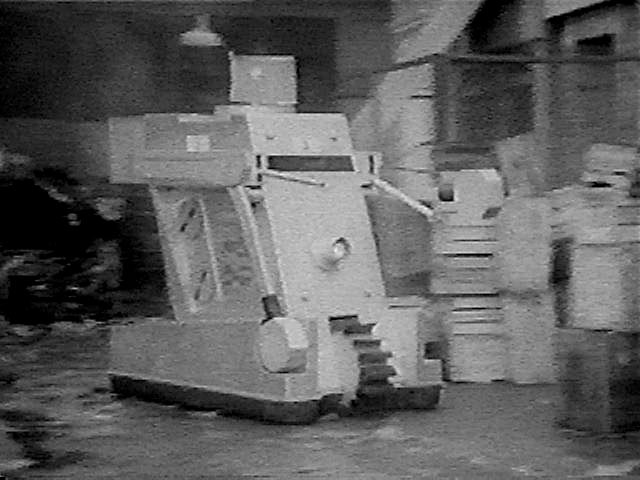 The Cybermen have often been notably successful as innovators in IT. Consider for example, proto-Cyberlord Lumic's use of Bluetooth earpieces as a method of hands-free brainwashing. Particularly impressive given their difficulties handling gold, which disadvantages them in the manufacture of printed circuit boards. 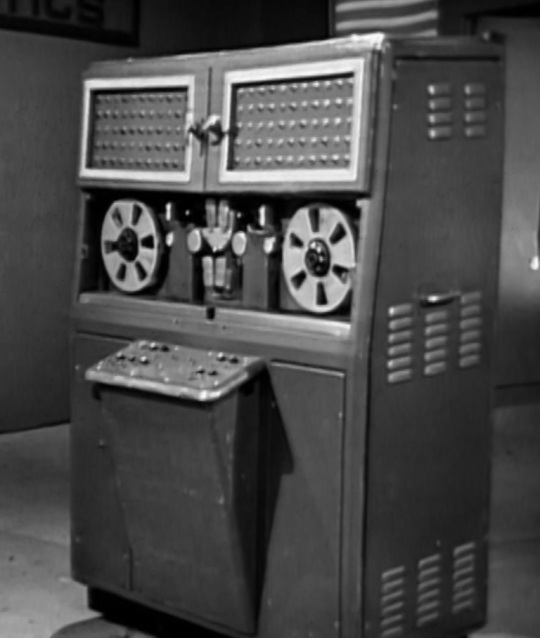 Store: It does have a reel-to-reel tape drive, but it seemed to use this as an output device to express frustration, twitching its reels irritably. One recognises the style: abandoned, half-finished lines, references to more and more globals, use of uninitialised variables, poor choice of names, gratuitous GOTO breaking the block structure, a sense of prevarication to avoid committing oneself - it's the sort of thing one only usually sees when testing Comp Sci graduates during job interviews. Naturally an astrophysicist of Zoe's intelligence and culture – remember she is from the futuristic 21st century – would never write this sort of thing, even when, as in this case, she is attempting sabotage. The clever part is that this code fragment, as broadcast by the BBC, represents what the machine hears after its voice recognition processing. No wonder the inline compiler responds by shutting down the machine and setting fire to the tape drive. Functions: (i) Automatic PBX substitute: handles incoming calls by informing the caller that the requested party is unavailable (ii) Robotic receptionist: handles visitors to the building by denying them access. 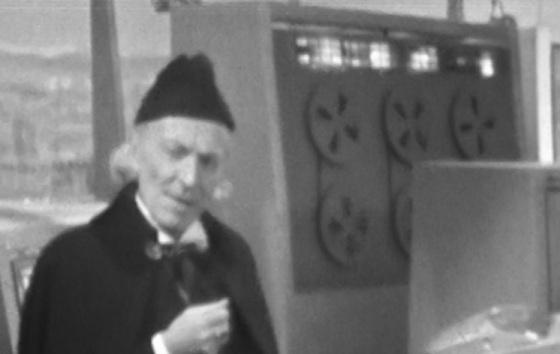 Many Doctor Who computers seem unrealistic in their intended purpose or in their execution of their duties; this one perhaps suffers from an excess of dismal realism. In fact, last year the company introduced the latest version of its core automation package, now with vulnerabilities sorted out, ported to Java, and adapted to the needs of the medical profession. Your dentist uses it. Just last week it sent you an SMS message admonishing you for failing to attend an appointment that you hadn't booked.